I watched way too much crap TV as a kid. I’m guessing a lot of you did too. At any rate, our TV antenna only picked up 3 channels, so I welcomed the addition of the Fox network in the late 80s. Fox took some risks, and a lot of their syndicated programs contained content that the other networks would never dare to broadcast. In 1989, Friday the 13th: The Series was an American/Canadian horror/sci-fi program in its 2nd season on the fledgling new network. 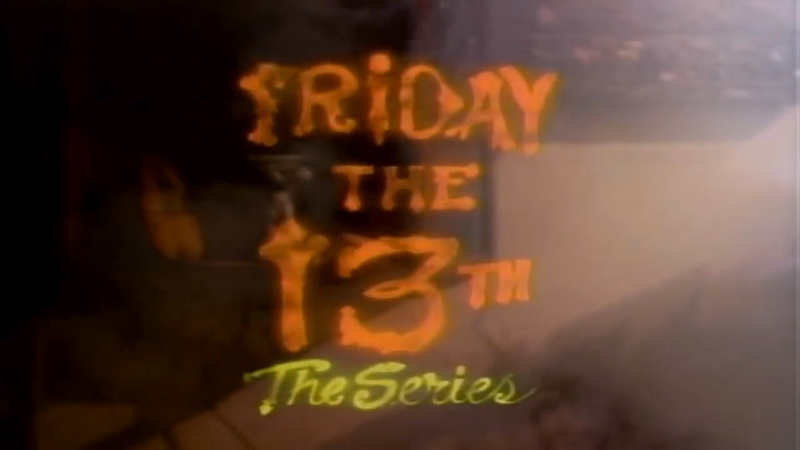 It’s interesting to note that despite its name, the premise of the show had nothing at all to do with the Friday the 13th movie franchise (other than some of the same cast, crew, and the producer – who opted to use the popularity of the Friday the 13th name to deliberately draw in an audience). Instead, the story roughly followed the owners of an antique store as they tried to recover cursed antiques and place them safely in the store’s vault. There were several of these types of horror/sci-fi series airing in syndication at the time like: War of the Worlds, Freddy’s Nightmares, Tales from the Darkside, etc. I had a weird, vague memory of watching this odd sub-plot clip that included flatland shortly after discovering that freestyle even existed. Bicycle media, of any sort, was still an anomaly for me. These corny scenes were stored away in my brain for years, waiting for an appropriate time to be summoned for you, dear readers of Snakebite. That leads us to today, when I scanned 44 episodes during a ruthless fit of multi-tasking until I tracked down the bizarre clips, decades later. 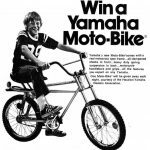 What are some of your early memories of seeing BMX on TV (or in movies)? Tell us about it in the comments, and share a link if you have one! Happy Halloween! 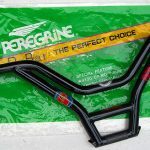 This entry was posted in Articles, Stories, Video and tagged 1989, bmx, Canada, flatland, Freestyle, Friday the 13: The Series. Bookmark the permalink. A year or two before the movie “Rad” made its brief appearance in theaters, this Mountain Dew ad with Ron Wilkerson, Pat Romano, Eddie Fiola and Ron Wilton was airing regularly. When one of my two riding buddies managed to tape it on his VCR, we had about 15 seconds of badly-filmed trickery to marvel over. 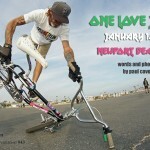 Times was TIGHT for freestyle kids who were starved for radness! OH…RL Osborn was in there, too! Ya Thomas, nice one! PA 4 also had the bulk of the Bones Brigade skating in it.